What Will the Weather Be Like Today? by Paul Rogers – What will the weather be like today? is an awesome book with just the right amount of writing on each page to keep R engaged and beautiful pictures to go along with the words. 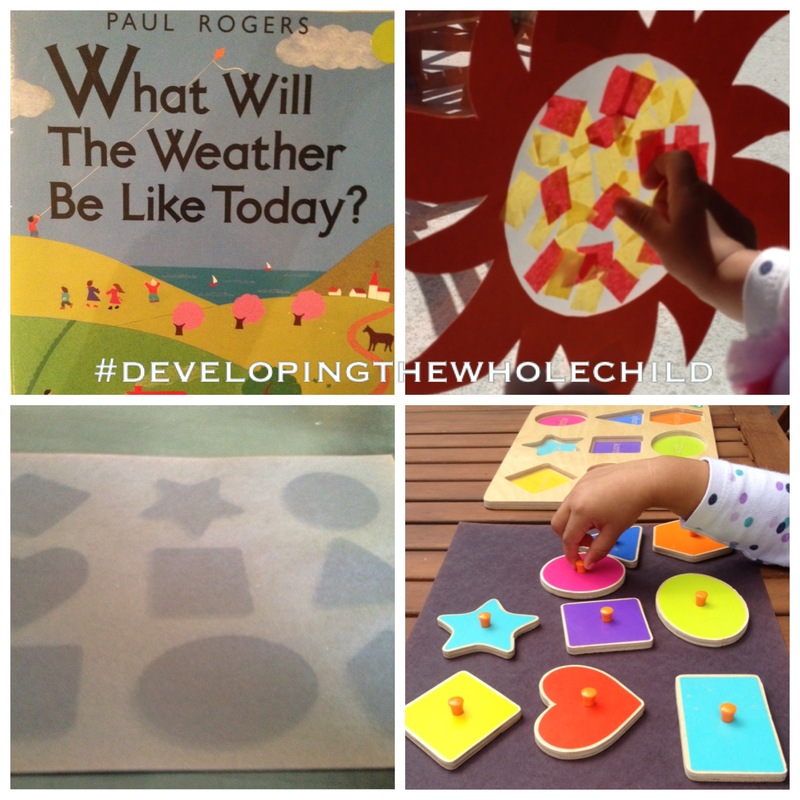 The book ends with a question to prompt weather exploration. 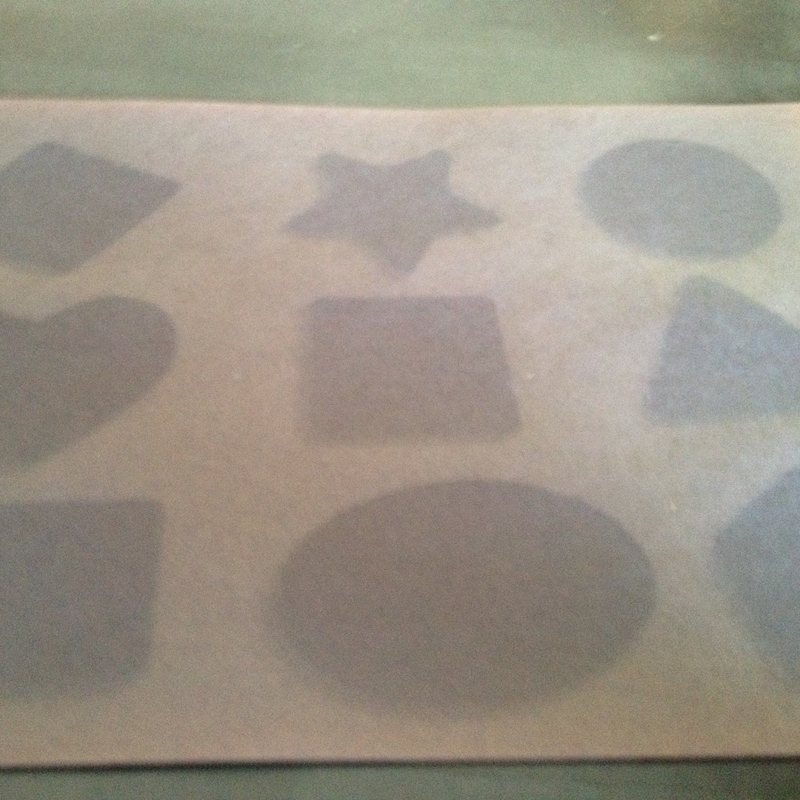 R helped me place her shape puzzle pieces on black construction paper in preparation for an awesome fading effect. We left the shapes on the paper for only about an hour (despite there being some clouds out) and the fading effect came out perfectly. I had seen another mom from Instagram doing this activity, and I had to give it a shot! R enjoyed trying to match the shapes onto the faded sheet. She didn’t position the shapes in the correct orientation necessarily, but she did match the correct shape to the correct spot. a. Beginning Writing Skills. Have an older child label the shapes on the faded piece of paper. Beginning writers should be encouraged to write as many letters as they hear in each word. The word “circle” may be written with just the letter “s” for the beginning sound. 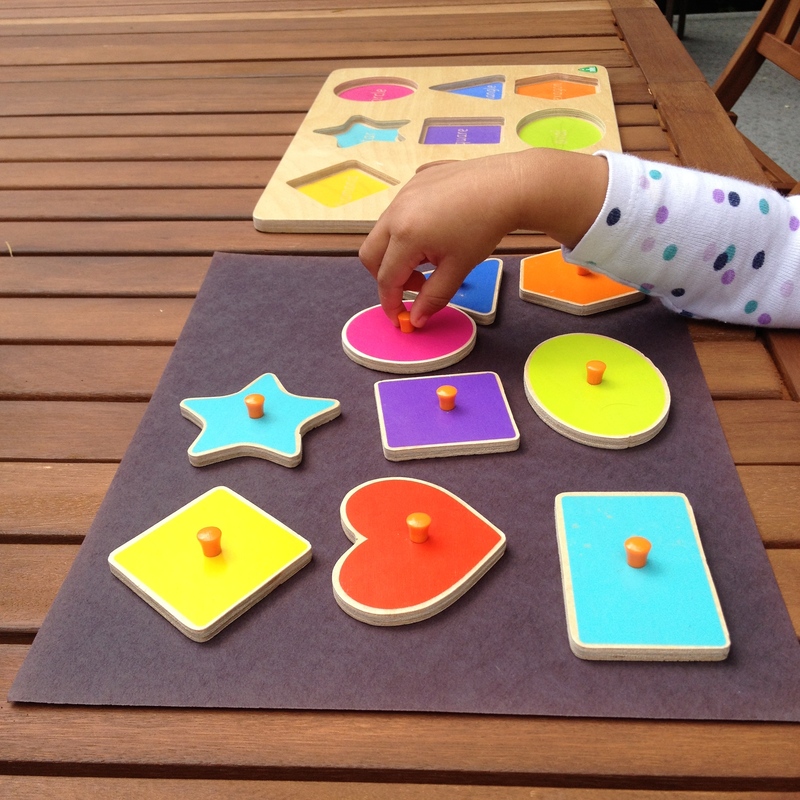 More advanced writers may be able to write the beginning and ending sounds and may write the word “circle” as “sl”. Beginning writing is a skill taught in Kindergarten to 5 year olds. b. Drawing Shapes. Have the child practice tracing the faded shapes using a crayon. R helped me make a sun catcher. I created a sun shape out of orange paper and added contact paper to it’s centre. R stuck yellow and red tissue paper on the contact paper to fill in the centre of the sun. This is a simple way to practice fine motor skills as you encourage the child to separate and add one piece of tissue paper to the contact paper at a time. a. 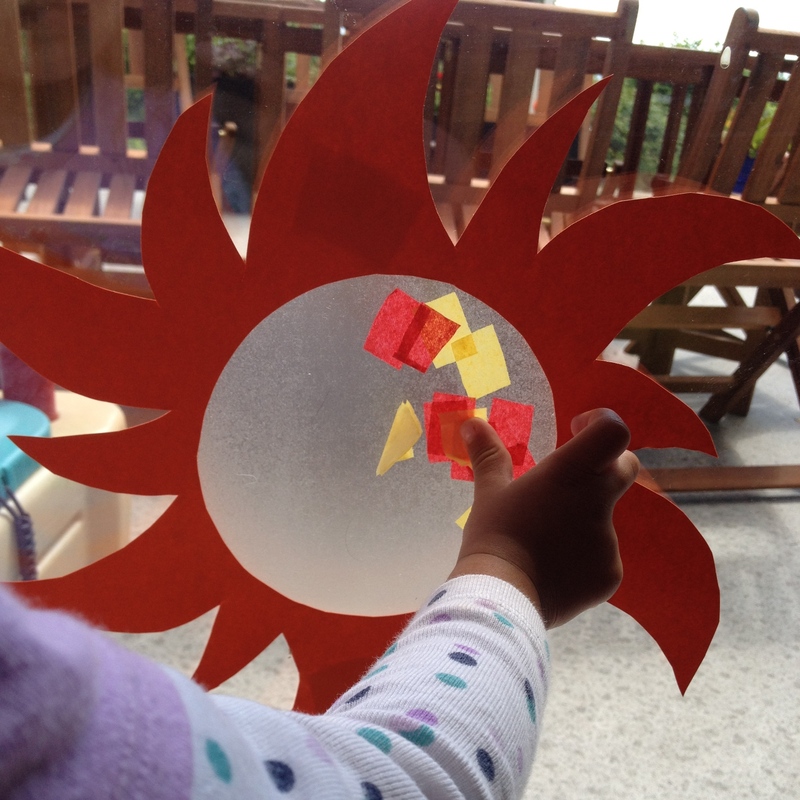 Have the child make his/her own sun shape for his/her own sun catcher. b. Explore the origins of sun catchers or light catchers with the child by searching online or head to the library and take out some books!